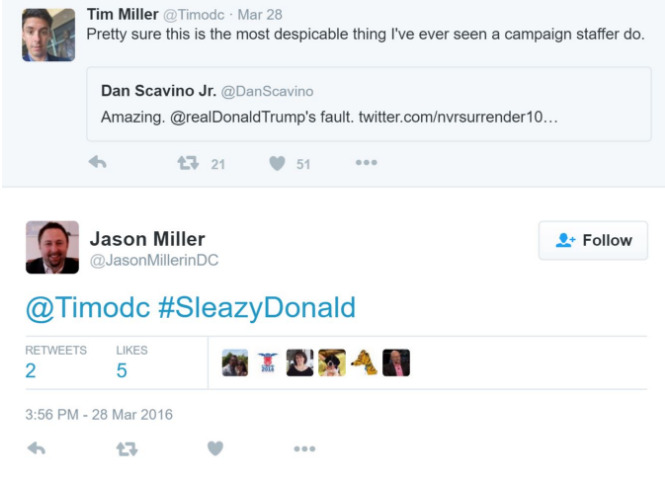 Donald Trump’s new senior communications adviser bashed the real-estate mogul on Twitter in a series of now-deleted tweets. 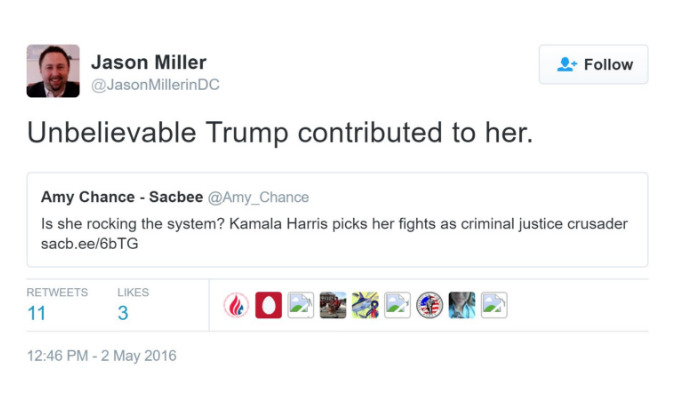 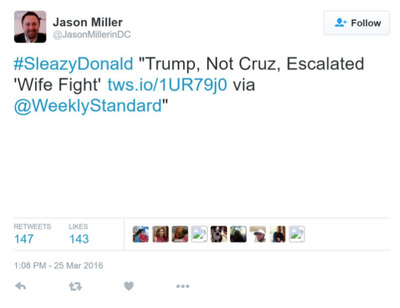 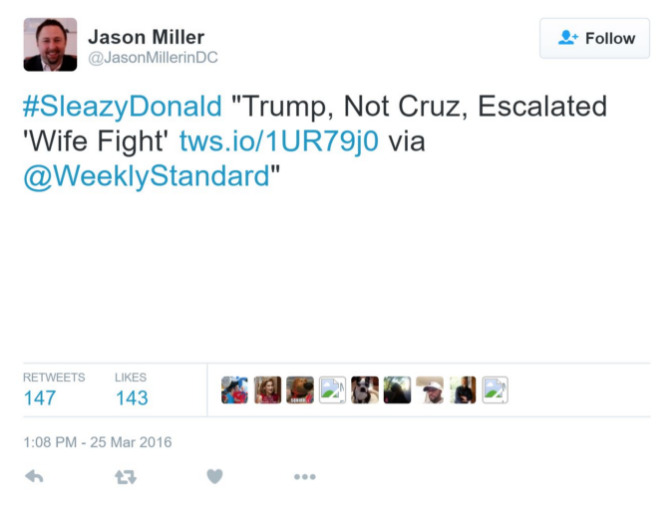 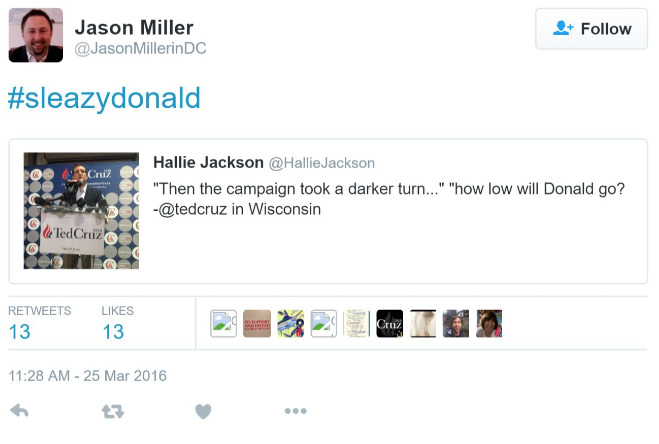 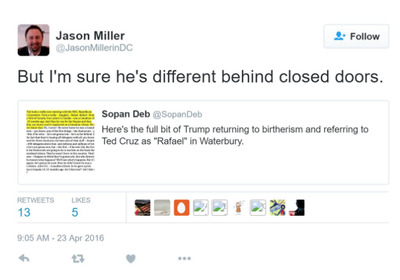 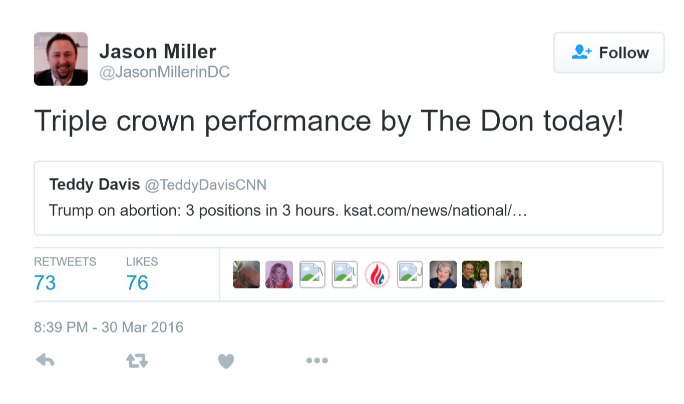 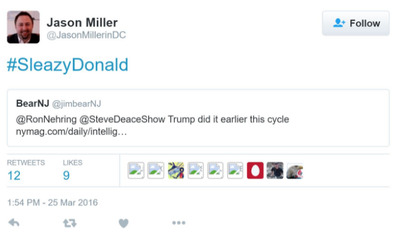 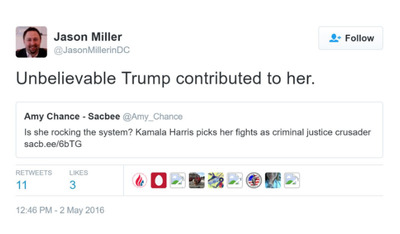 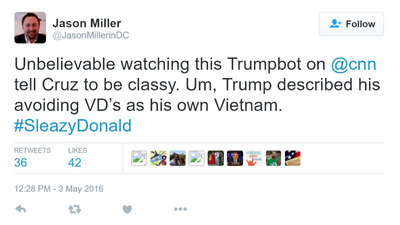 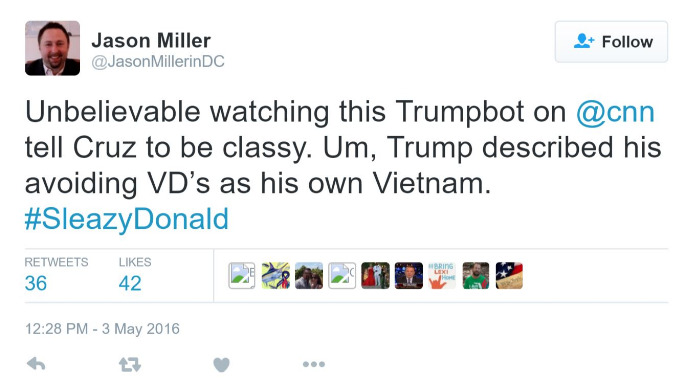 The tweets from Miller dated as recently as early May, right as Trump clinched the GOP nomination. 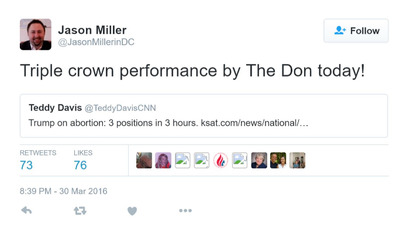 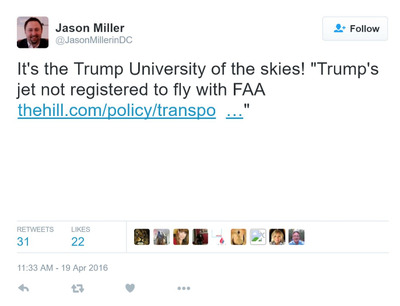 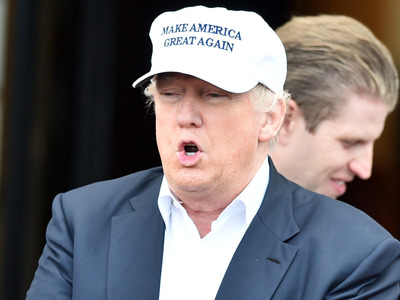 Miller was officially announced as a new hire in a Trump campaign release Tuesday morning. 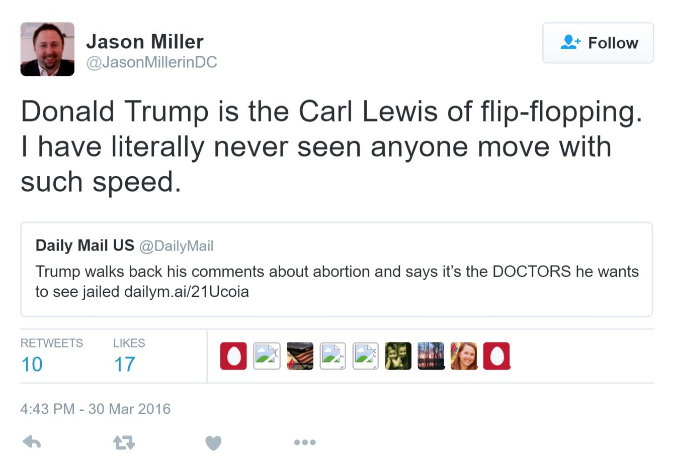 In a pair of the now-deleted tweets, first flagged by the liberal blog ThinkProgress, Miller called Trump “the Carl Lewis of flip-flopping” after the real estate magnate made controversial statements regarding abortion rights in late March. 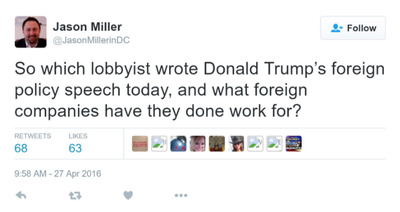 He later asked “which lobbyist wrote Donald Trump’s foreign policy speech today” after Trump delivered an address in late April. 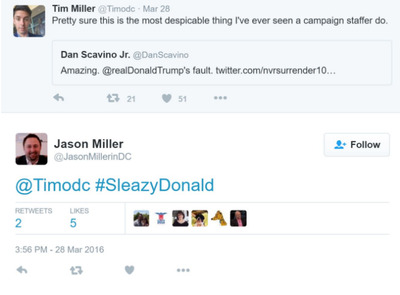 It is unclear if the Trump campaign was aware of the tweets, and a representative did not return a request for comment from Business Insider.